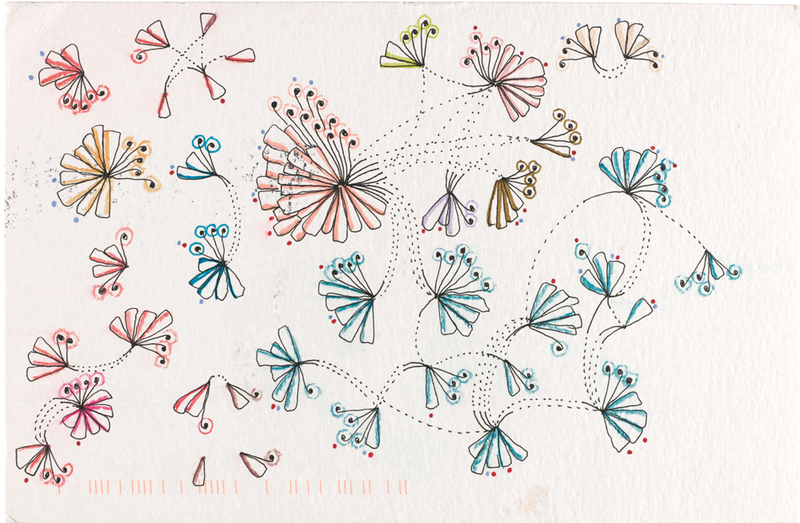 For one year, Giorgia Lupi and Stefanie Posavec mapped the personal particulars of their daily lives in a series of hand-drawn postcards, exchanged across the ocean. Each week, they tracked something different: complaints, physical contact, distractions, phone additions, or desires. These details illuminate the lives of two remarkable young women who barely knew each other when they started the project and who are now co-authors of the book Dear Data: A Friendship in 52 Weeks of Postcards, a captivating tome for designers, artists, friends, and data analysts. Giorgia Lupi comes to the New School! She will present her project and talk about why she’s putting personality and subjectivity back into data viz. You don’t need to know how to code to analyze and visualize data—all of Lupi and Posavec’s data art is hand-drawn. Following the presentation, Lupi will sign copies of her book Dear Data, which will be on sale. Learn more about the Dear Data project here.